Okay, I'm totally not a big diaper bag carrying momma, BUT with that being said, I am so loving this adorable diaper bag from Oliebollen. The vibrant racing car motif is just so much fun and is definitely all boy! 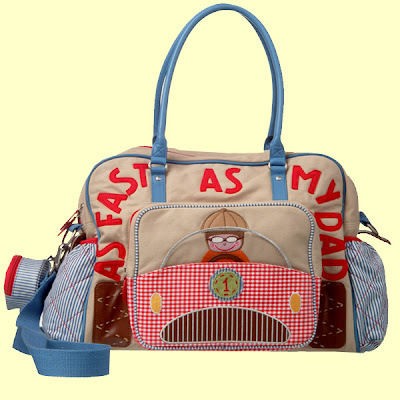 I think any proud daddy would totally be up for toting this racing inspired bag around with their baby boy while out on the town!